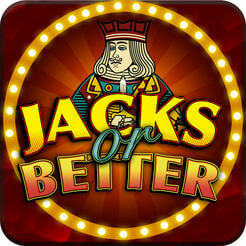 Test your skills and play against the house on your favorite Video Poker game – Jacks Or Better. 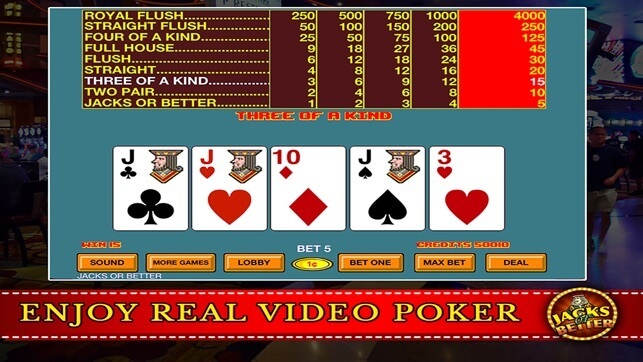 Enjoy the thrilling experience of playing the ORIGINAL video poker game on your iPhone/iPad. The app is FREE for a very limited time. Download now! Enjoy the Casino Experience! => Fast and easy game play. => Sound & music just like the real thing. => Real casino shuffling of cards. => Double Up your winnings – Optional. Can be disable from the options menu. => Statistics to track your performance. => Game Center Leader board. After inserting money (or a barcoded paper ticket with credit) into the machine, play begins by placing a bet of one or more credits and pressing the “deal” button. The player is then given cards and has the opportunity to discard one or more of them in exchange for new ones drawn from the same virtual deck. After the draw, the machine pays out if the hand or hands played match one of the winning combinations, which are posted in the pay table. In games which do not have a wild card a player on average will receive the rare four-of-a-kind hand approximately once every 500 hands, while a player may play tens of thousands of hands before an extremely rare royal flush, which usually has the highest payout. 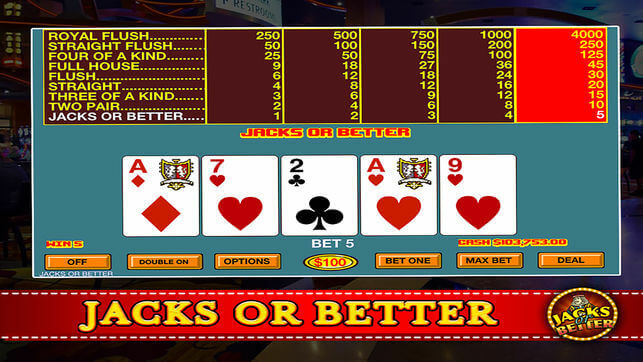 “Jacks or Better,” sometimes simply called “Draw Poker,” is the most common variation of video poker. Payoffs begin at a pair of jacks. Full pay Jacks or Better is also known as 9/6 Jacks or Better since the payoff for a full house is 9 credits and the payoff for a flush is 6 credits.